Achieve the five core values: innovative, teamwork, quality, delivery and service. Founded in 2002, Sanjet International designs and develops in-house automatic tool changers, which are sold at home and abroad under the SJ-Auto Tool Changer brand. 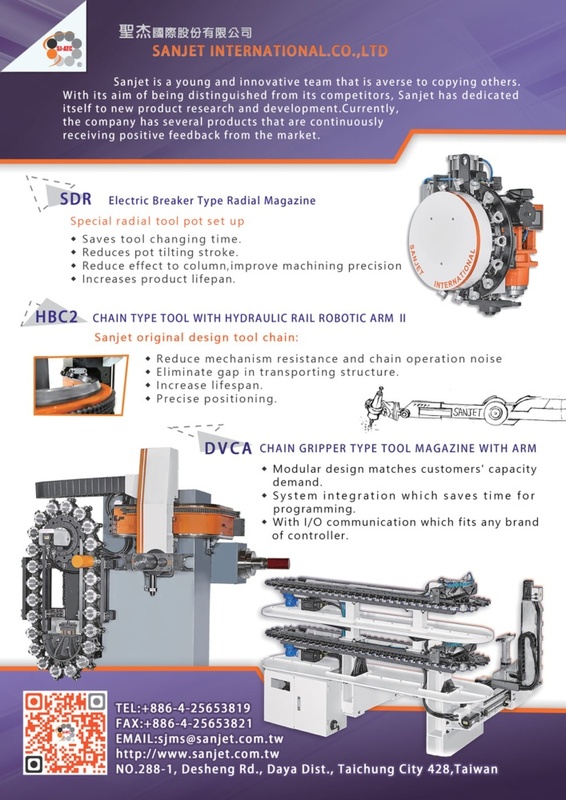 SJ-ATC-branded products include various quality, innovative ATCs, tool magazines as well as hydraulic and pneumatic tool-removal cylinders for vertical, horizontal and double-column CNC machining centers. With two plants run by a young, energetic management team who works effectively with staffers, we continually engage in personnel training, technology upgrading and exacting production, quality control to deliver top-quality products on-time to fully meet demands. Sanjet was established in 2002. Since the very beginning we firmly believe in our core values and have never changed. We abandon those overstated advertisings but, instead, firmly adhere to practical operation. 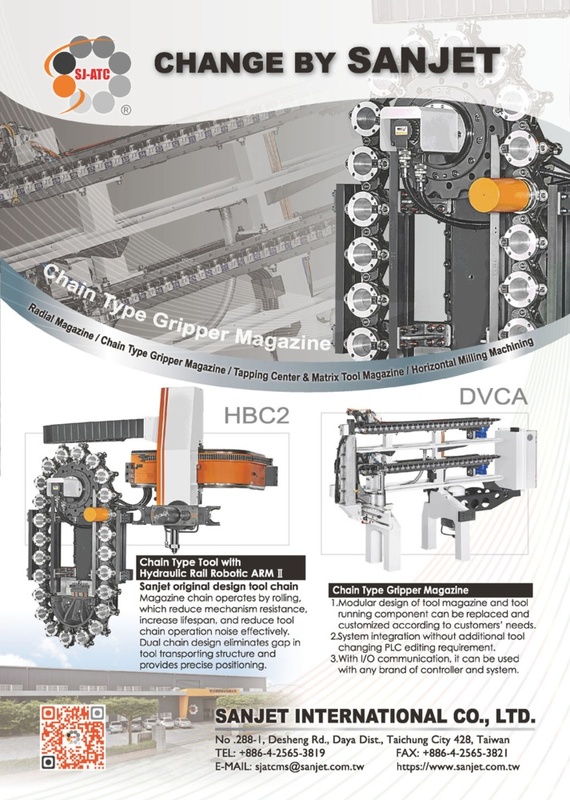 What we realize is that “ Tool changing system is never a soul of a machine tool. “. We listen, we understand and get close to our customer. Therefore, we have the ideas to design the essential products you want. Being your best supporting partner is how we guarantee the sustainable operation and it’s also the only way to maintain customers’ relationship. 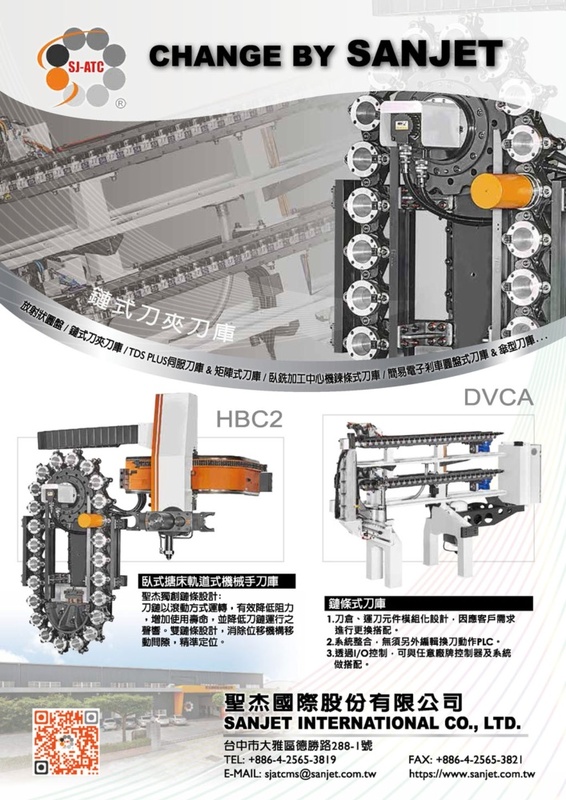 To be continuously innovative, our company is dedicated to the production as lightweight, high transmission efficiency of construction and refinement appearance. Recently, we create a product featured new transmission system with steady and high-speed rotation, which dramatically reduces the cost. The best efficiency ATC for tapping center is most lightweight, smallest and max number of tools in addition. 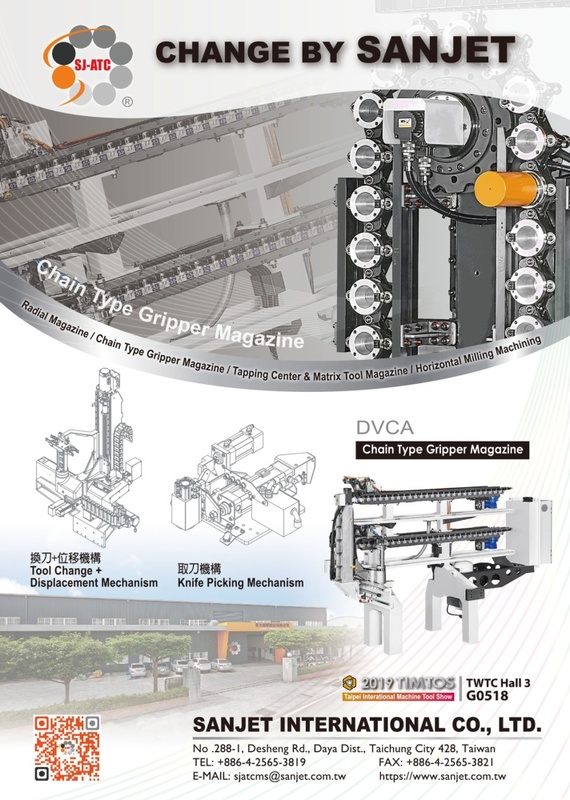 We are dedicated to the product differentiation in terms of the technology development, we create the new ATC for lathing & milling machine and many chain-types via technology community with Japan. For the prospect of future, Sanjet insists the concept of conduct as sincerity and greater perfection. By doing so, we can steadily cultivate the international competitive ability in ATC. Basing ourselves on Taiwan and expanding the International marketing successfulness, we keep giving substantial feedback to all the long-term supportive customers’.